MAC’s Viva Glam Nicki finally arrived at my local MAC store and of course I had to rush over there on my lunch break to pick it up! I didn’t even bother to swatch it, assuming that I would love it! 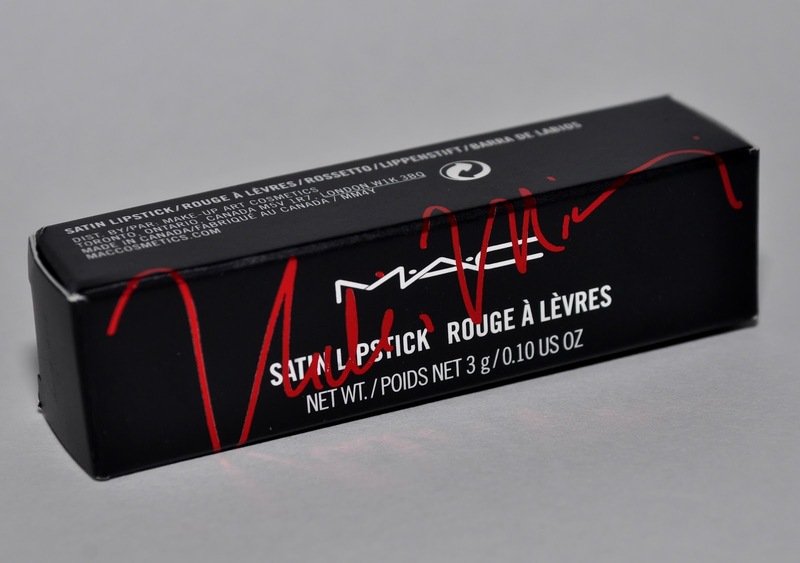 I thought that, being a Nicki Minaj lipstick, the packaging would have some sort of pink on it but MAC went with red. I love the red though and think it looks elegant. 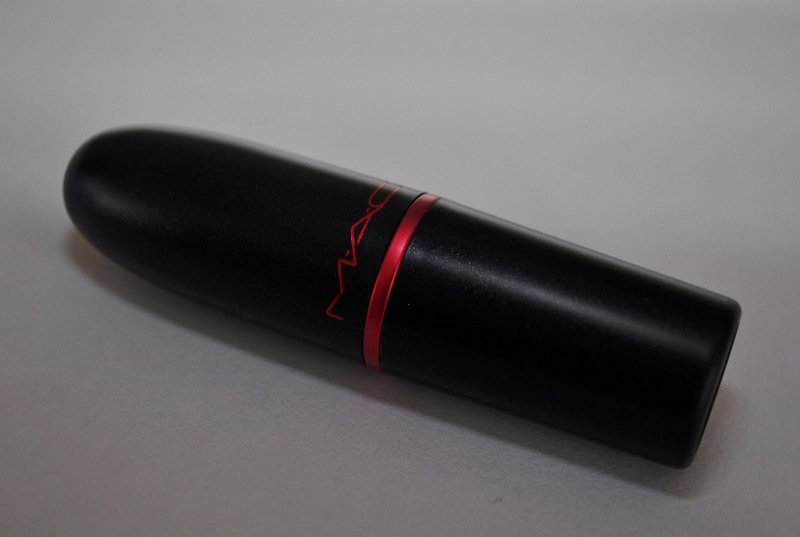 The tube is the same as MAC’s standard lipstick tube and contains the same amount of product. The lipstick is a satin finish and, while the formula is ok, I can’t help but wish MAC had made this in the same modern matte formula as the Iris Apfel collection lipsticks or went in the opposite direction and used an Amplified finish. I feel like the satin’s can be a bit of a difficult finish to apply in bright shades but maybe that’s just me! The MAC MUA described the shade to me as a yellow toned pink and I can see what she means. This shade has a definite coral undertone to it that differentiates it from every other bright pink I have in my collection. She told me that this shade will either pull pink or coral depending on the wearer and on me it pulls pink. I swatched it next to two of my newest MAC lipstick purchases and was surprised to find that it wasn’t similar at all to either. 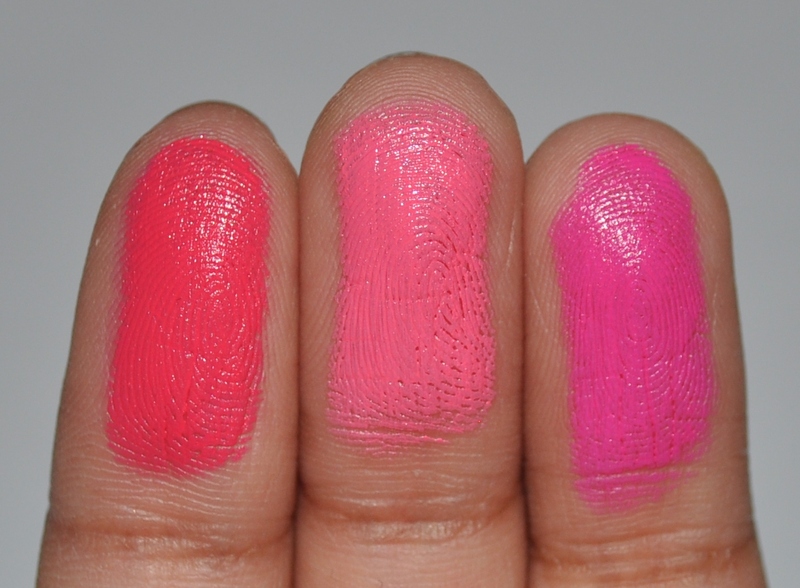 Viva Glam Nicki is in the middle and Party Parrot is on the left and Pink Pigeon on the right. Seeing it next to a blue toned pink like Pink Pigeon really demonstrates the yellow tone in the shade. My major issue with this shade is that, while I fell in love with this colour as soon as I opened the tube, this colour doesn’t love me so much! 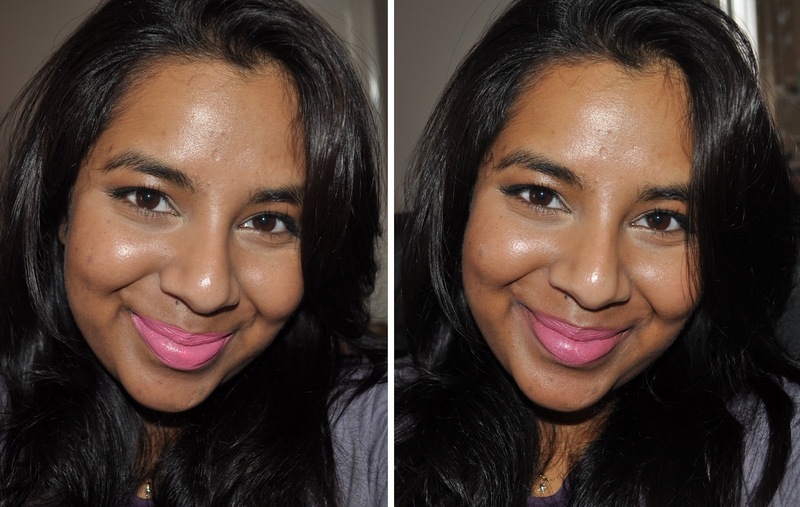 I have pigmented lips and with my darker skin tone, shades like this just look a bit odd on me. 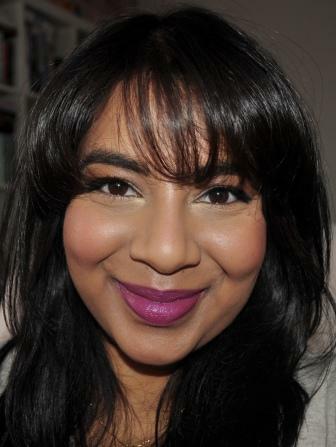 I’ve spent a long time trying to figure out why over the years and I have decided that it’s due to a lack of definition around the lip line that bright shades cause on darker skin. I try and make difficult shades like this work for me by applying a darker lip liner around my lips and then blending the lipstick on top. The end result when compared with using the shade without a lip liner is more toned down but also more flattering. I took pictures of both to show you the difference. Below on the left is me wearing Viva Glam Nicki without lip liner and on the right I’m wearing it with NYX lip liner in Toast (a dark brown) around the outline of my lips. I know there are darker skinned girls out there who can pull off these colour’s without a darker lip liner (Nicki Minaj for one!) but for those of you who have a similar problem to me, try out the dark lip liner. I purchased my lippie for $36 AUD and Viva Glam lipsticks are the only ones I’d purchase at Aussie prices since 100% off the price goes towards MAC’s Aid’s fund which is a an extremely worthwhile cause. If you want to find out more click the link here. What do you think of Viva Glam Nicki? Will you be purchasing it? 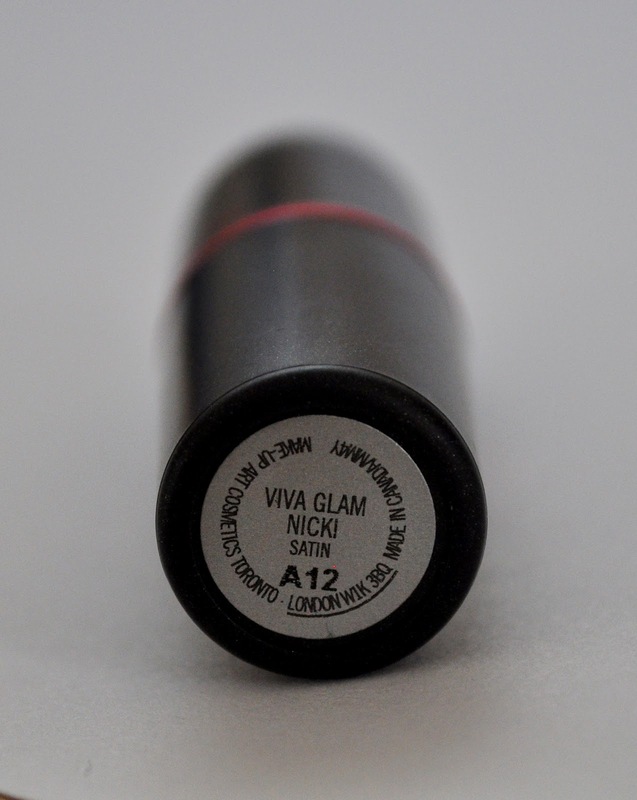 Also, what’s your favourite Viva Glam lipstick so far? I think the colour is really pretty on you and I prefer it without the lipliner. I have a feeling that this lippie might be a little more coral on me than pink. 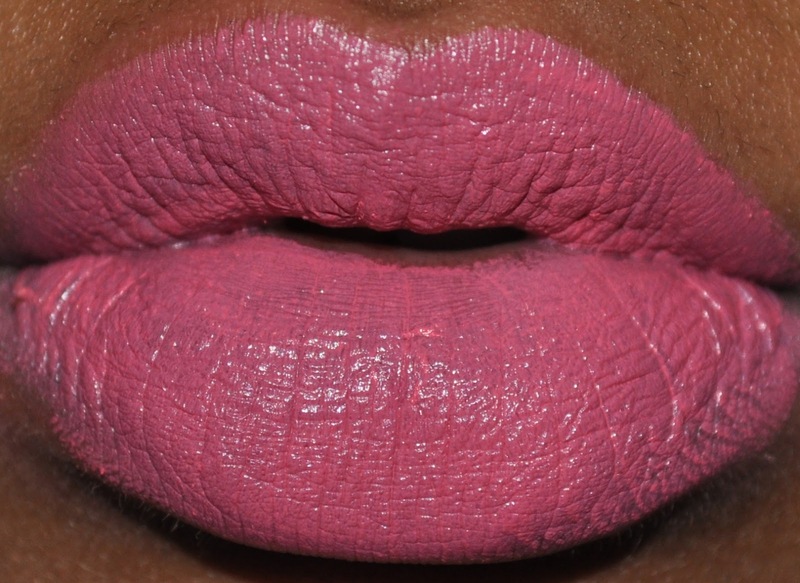 I don't have many yellow-based pinks in my lipstick collection so I would love to try this one out.